This entry was posted on Saturday, December 12th, 2009 at 6:34 pm	and is filed under design. You can follow any responses to this entry through the RSS 2.0 feed. You can leave a response, or trackback from your own site. That is awesome. 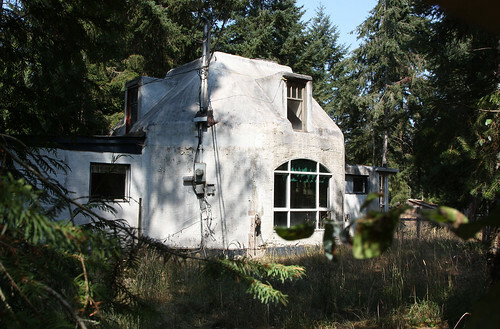 It looks like someone on the forest moon of Endor hired a Tatooinean architect. And now, because of my nerdy comment, I will now go knock my own books out of my hands and give myself a wedgie. Can you tell us more about this settlement? I haven’t heard of it at all. And, I always enjoy reading your writing. Joe, that made me laugh very hard, because I felt the same way just posting this. Jonathan, I don’t think it’s really a settlement – it’s just a house! 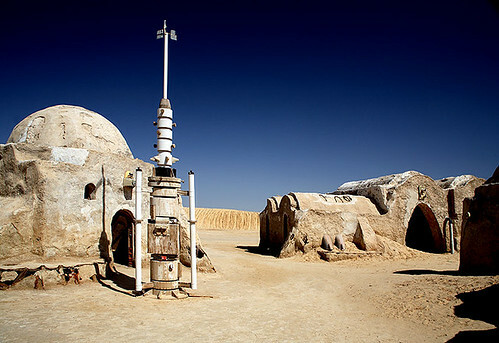 I was just thinking it looked a lot like the houses on the planet Tatooine in Star Wars. There was no one around to ask about this place that day, or I would have!